Not content to thrill us just with their much admired high-definition Italian horror film releases, including key Dario Argento and Mario Bava titles, Arrow Films embark on a very welcome reissue of some of the great post-war classics of international cinema this month. Their first batch of releases, in dual DVD/BD format, cover Italian neo-realism in De Sica's Bicycle Thieves (1948), Jules Dassin's French 'New Wave' thriller Rififi (1955) and the masterful suspense of Clouzot's Les Diaboliques (1955). Arrow's new Academy label is an opportunity for those that love European cinema to upgrade to high-definition and delight in these classics anew or for world cinema novices to take the plunge and experience three outstanding examples of foreign cinema for the first time. 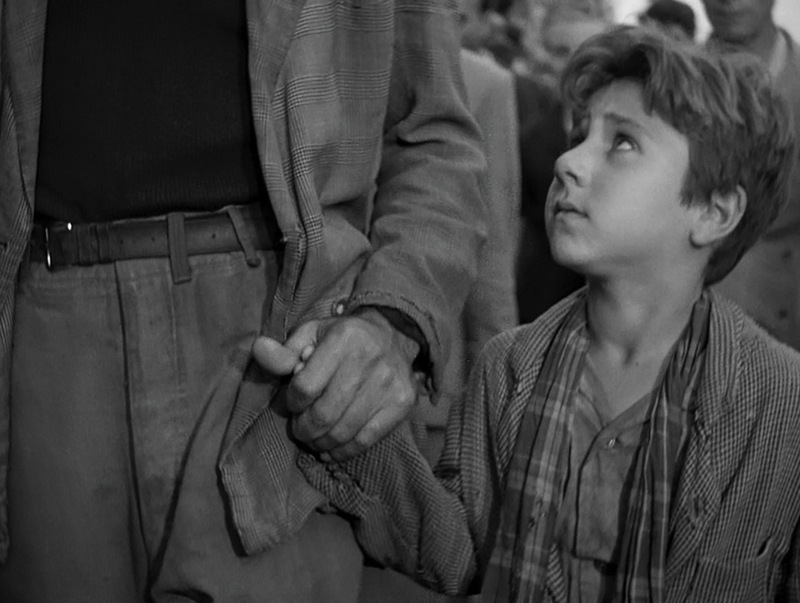 There is no better place to begin than Vittorio De Sica's affecting Bicycle Thieves. Regarded as the pinnacle of the neorealist cinema that emerged in post-war Italy, the film went on to win an Oscar in 1949 and top various polls as one of the greatest films ever made. It is regarded by many directors, including Ken Loach and Satyajit Ray, as one of the most influential on their own work. Ray saw the film on a visit to London in 1949 and De Sica's shooting of the film entirely on location and the use of non-actors Lamberto Maggiorani and Enzo Staiola as the father and son characters had an impact on the direction he took with Pather Panchali (1955). In a May 2010 Guardian profile, Loach claimed of the film, "It made me realise that cinema could be about ordinary people and their dilemmas. It wasn't a film about stars, or riches or absurd adventures. I was able to see cinema in another light, outside the Hollywood nonsense." 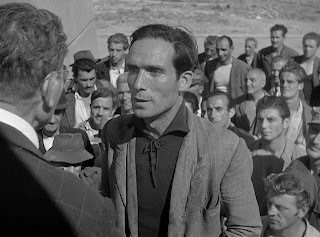 Italian neorealism is certainly characterised by its embrace of the quotidian activities of the poor working class and in the way that most of the films are shot exclusively on location and tend to use non-professional actors. The release of Roberto Rossellini's Rome: Open City (1946) with its examination of the city and the daily lives of its poorest inhabitants in the midst of German occupation, especially the youngest, epitomises the period's tropes. 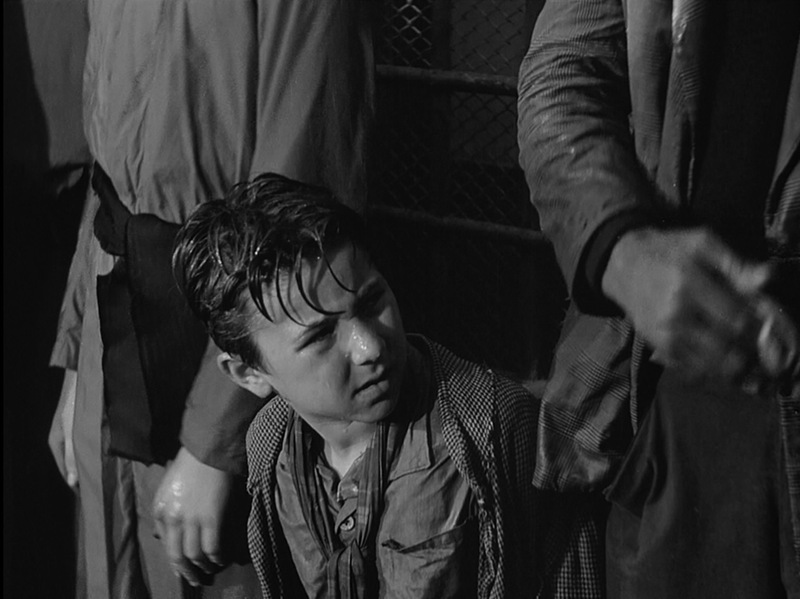 Neorealism would then continue to observe, mainly through the key roles of children, the struggle towards recovery in the aftermath of the war. Bicycle Thieves opens in post-war Rome and focuses on the unemployed Antonio Ricci, desperate to find work in the economically depressed city to support his wife and children. He is offered a job pasting up bill posters in the city but can only accept the work if he has his own bicycle. His wife, out of necessity, pawns their bedding in order to retrieve his old bicycle from hock. 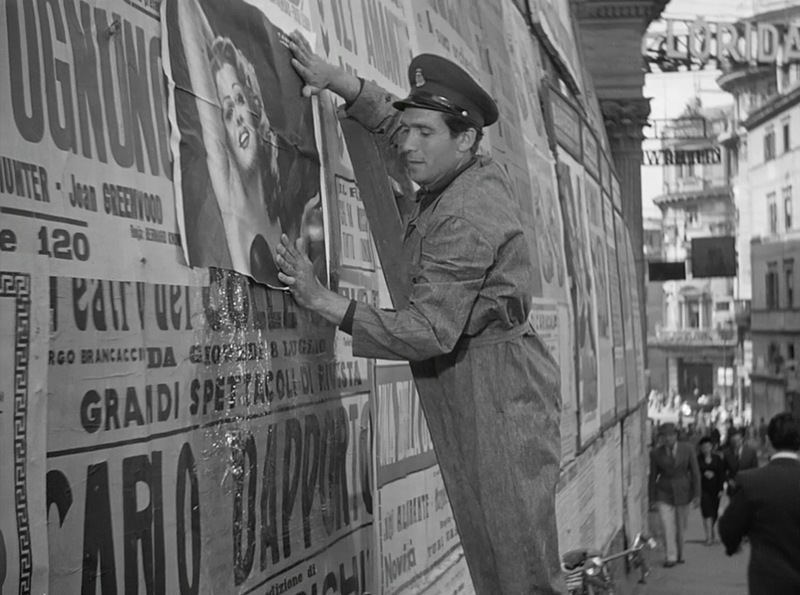 Antonio sets off for work and as he is putting up posters, the bicycle is stolen. 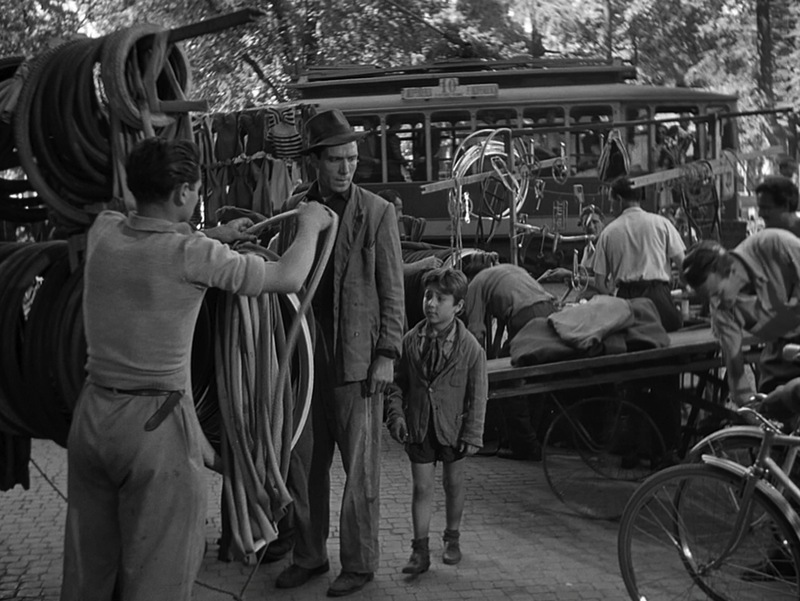 The film then traces Antonio's desperate search for the bicycle, a search he conducts across the city with his young son Bruno. It is a film with hardly any plot and, in De Sica's hands, is steadfastly a poetic dialogue between father and son and the interpolation of working class lives into the geography of the city than it is a detective story to find the actual thieves. 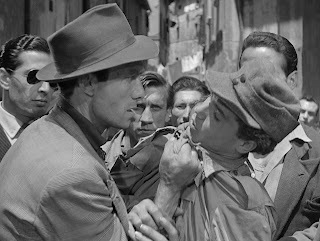 Confronting the perpetrator is not the function of the film but rather it is making the sheer frustration and desperation of Antonio's experience heart-stoppingly palpable, especially seen through the eyes of his own son, and is one of the purest cinematic displays of what the film's writer and long-time De Sica collaborator, Cesare Zavattini, called "life as it is." This is made all the more devastating by the film's unorthodox, downbeat ending, rejecting the feel-good resolutions of so many Hollywood melodramas, and where the bicycle is never found and Antonio and Bruno walk away, thoroughly dejected after an attempt to steal another's bicycle goes horribly wrong. Yet, the film also seems to say that despite this humiliation the father-son bond survives as does the dignity of the human spirit. It is the existential, metaphysical and social experience of De Sica's narrative that is important here. The geography of the city and the people that live and appear within its tenements, churches, restaurants, market places, stadia and streets form a very rich visual tapestry, full of detail and pregnant with meaning. 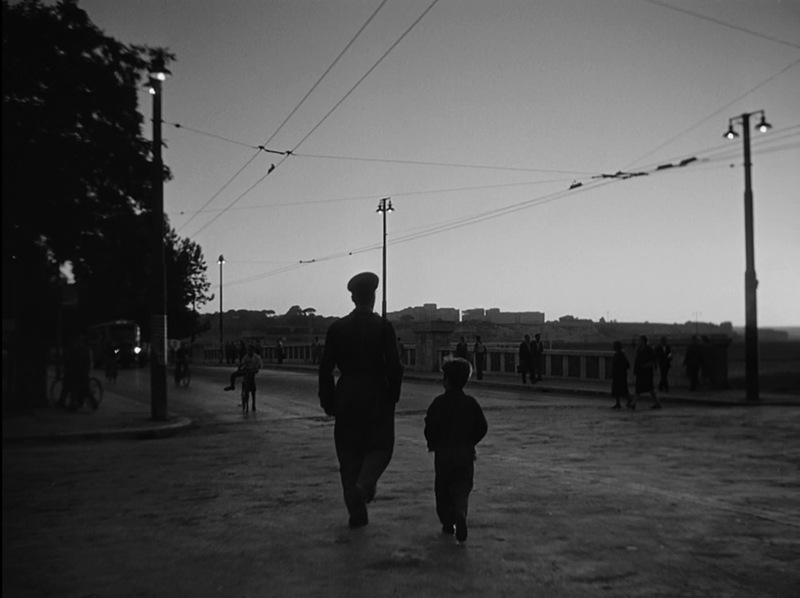 Rome itself therefore becomes a major character in the film, offering a panoramic urban setting and scale against which father and son conduct their deeply frustrating search. These two figures, often seen in long shot, contrast in scale with wide urban architecture and spaces and there is a growing sense of their isolation, of feeling lost and adrift as the film progresses. 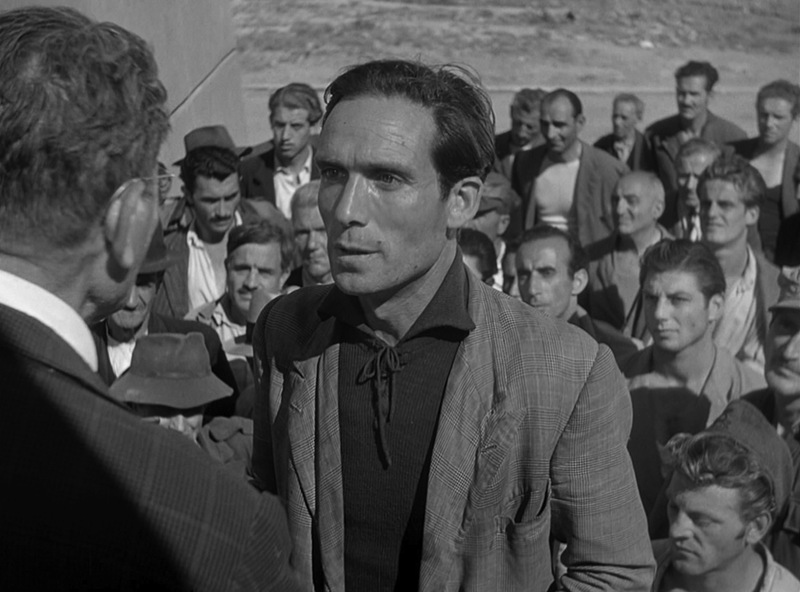 The city becomes almost unknowable to them, containing strange uncertainties that are seen in the brief sequences, that almost form a chase, of Antonio's pursuit of first an old man seen conversing with the titular thief and then a young lad whom he believes is the actual thief. This chase takes him and his son into a brothel, a clairvoyant's apartment, the markets at Piazza Vittoria and Porta Portese, a church where the down and outs line up for a shave, engage in some enforced religious prostration and the reward of a hot meal, and finally to the Via Panico tenement where an angry mob defends the young lad against Antonio's accusations. This series of random locations symbolise the zig-zag nature of chance and luck that Antonio and Bruno are subject to in the film, where the theft itself bore no other witnesses, where the clairvoyant, when pressed by Antonio, imparts completely useless information about their success in finding the bicycle, and the encounters with the old man and the young lad are purely coincidental. It culminates in the final sequence where Antonio's luck is balanced on a knife edge as he contemplates his own act of theft of a bicycle left outside a tenement by the sports stadium. Just as he plucks up the courage to pedal away with the bike, the stadium disgorges its audience and he is apprehended by a baying mob. These sequences also suggest that the two are constantly buffeted by indifference from their fellow human beings and the institutions that should support them - the church, the police and the trade unions. The father-son bond between Antonio and Bruno is crucial. While Maggiorani is astonishingly good as the father, desperately thwarted at every turn both in the search for the bicycle and the recovery of his patriarchal status, it is Staiola, as Bruno, who really grabs your attention. The psychological exploration of the bond is also one of the film's key functions and Bruno is the symbol of the high stakes where the family is under threat of disintegration if the bicycle is not recovered. 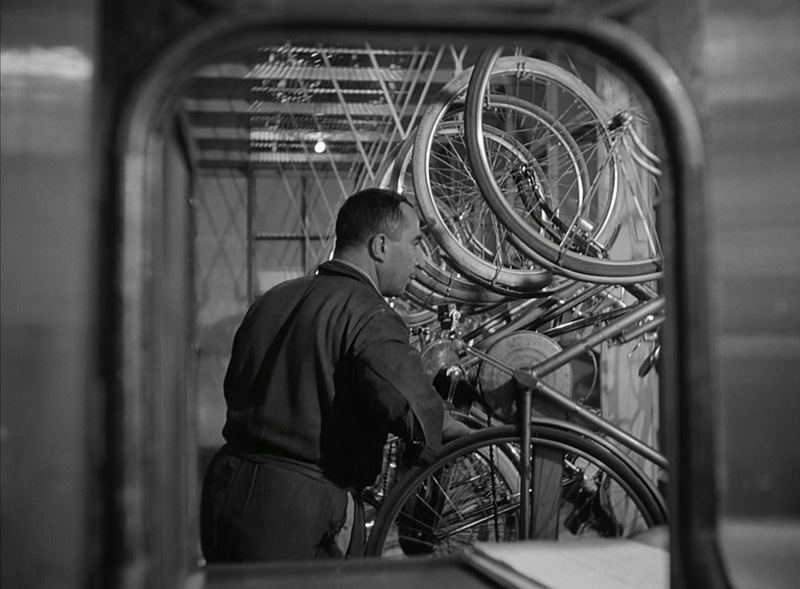 The bicycle itself is a symbol of the revival and removal of Antonio's status as the family's breadwinner and this is visually underlined, where Millicent Marcus notes in Italian Film in the Light of Neorealism, as he carries both his wife, Maria, and then Bruno on its handlebars, literally supporting them. 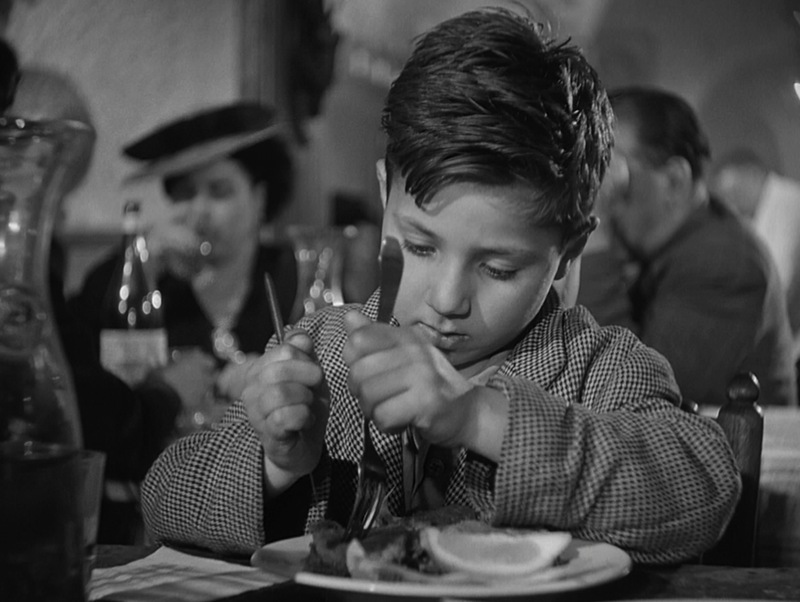 In the scene where they take refuge in the restaurant, De Sica eloquently comments on the distinctions between the lower and middle classes while at the same time bringing out an affectionate quality in the relationship between Antonio and Bruno. The meal itself is symbolic of the cultural differences within the population where the waiters serve them with indifference and yet lord it over the middle class family on the next table. 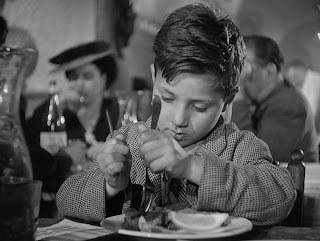 Bruno's struggle to eat his bread and mozzarella, where he defiantly downs knife and fork and takes to eating the food with his fingers, is contrasted with the delicacy, manners and disdain of the family opposite. Even though it has some cheer in the scene, his father abruptly reminds Bruno that to eat as well as their sneering neighbours, you'd need to earn a million lire a month. As they traipse across Rome, the boy is constantly trying to catch up with his father, often stumbling and falling down in the process, and this suggests that the bond between them requires fresh negotiation, a sense of equality. When Antonio fears that Bruno has wandered off and, hearing a crowd shouting that a boy has fallen into the river, has also drowned, he is abruptly reminded of his need to reconcile with his son with whom he has had a delicate and complex relationship. The reparation of the relationship is made apparent by the end of the film where, after the boy's tears assuage both the anger of the mob that descend on Antonio and his father's guilt at lowering himself to the status of a common thief, they walk off hand-in-hand, an equal partnership cemented by the psychological crisis of their tribulations. It also reaffirms the need for family in such uncertain circumstances and times of real deprivation. As Mark Shiel recounts in Italian Neorealism: Rebuilding the Cinematic City the film emerged at an unstable period in Europe. The Cold War was underway, the Italian post-war coalition government collapsed and, under pressure from the United States, the Christian-Democrats (who attacked the film) gained power after breaking away from the Socialist and Communist elements of the coalition. 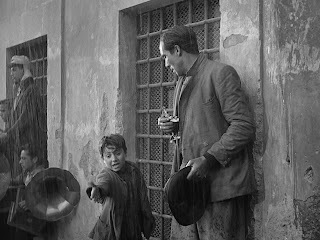 They and the Catholic church saw the cinema of neorealism as an antithesis to their trenchant attempts to boost a positive image of Italy and the values of family life. 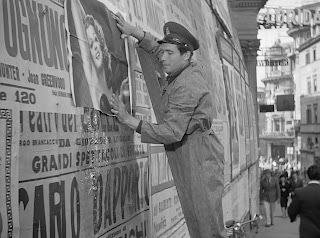 Shiel, among many critics, also points out that the ironic image of Antonio pasting up posters of Rita Hayworth is also symbolic of De Sica's "awareness of the gulf between neorealism and Hollywood" and indicative of the pressure on this movement in European cinema from the more commercial rivals at home and abroad. 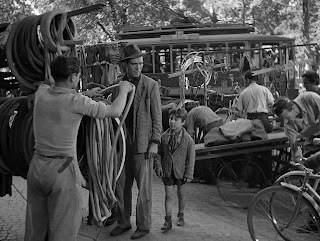 Michael Brooke, in the excellent notes that accompany this release, also observes similarly that Bicycle Thieves has "been cited as the polar opposite of Orson Welles's self-consciously tricksy Citzen Kane (1941)... thanks to its narrative simplicity and its naked appeal to the emotional." A word then about the HD transfer. This is very good indeed and is another example of how high-definition really benefits films and television made in black and white. Much of the imagery is very detailed indeed, particularly faces, costumes and set decoration and the contrast is exceptional, displaying rich black tones and it superbly shows off the deep focus cinematography. For example, when Antonio and Bruno are caught in a rain shower, the water on their clothes and faces is picked up in brilliant detail. There are moments where the picture is fuzzy and soft, but these are fleeting, and there are occasional jumps with missing frames. Neither will deter your enjoyment as you'll be beguiled by the quality of the transfer here. The sound is perhaps not as good as it could be. The soundstage tends to be murky, higher and lower frequencies never really emerging to their full potential in the mix, the incidental score perhaps coming off worse. This is a shame as Alessandro Cicognini's music is often the emotional core of the film, its mournful tone rarely forgettable, and it reflects the psychological journey on screen. A fuller restoration of the soundtrack would have been the icing on the cake here. 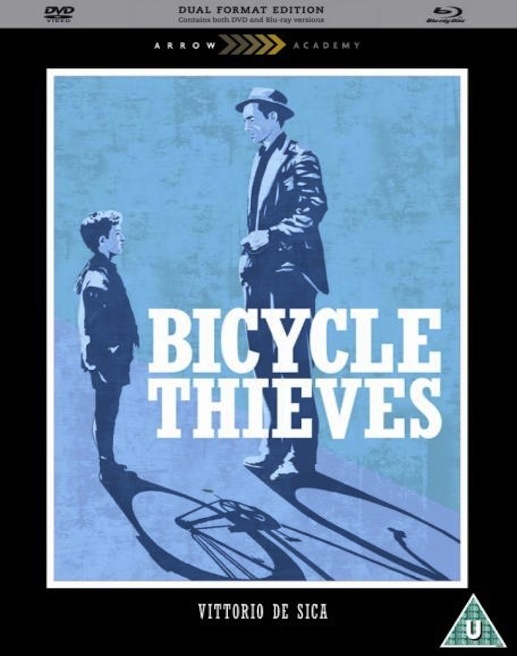 Commentary - feature length audio commentary by Italian cinema expert Robert Gordon, author of BFI Modern Classics 'Bicycle Thieves'. With plenty of background detail and discussion about De Sica and Zavattini's ambitions for the film and although it tends to default to describing the onscreen action at times it's as good an introduction to the film and De Sica as you'd want. ‘Timeless Cinema’ (Dur: 56:54) a documentary portrait of director, actor and screenwriter Vittorio De Sica. This was clearly a celebratory television special hosted by De Sica (his background as a comic actor shining through) and it covers his career with numerous film clips, archive interviews and live conversations with the likes of screenwriter Cesare Zavattini. Featuring a brand new essay on the film by writer and film historian Michael Brooke as well as screenwriter Cesare Zavattini’s essay 'Some Ideas on the Cinema', illustrated with original stills and lobby cards.